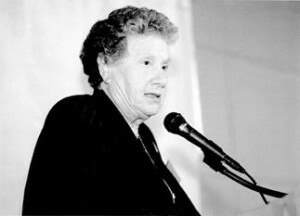 Marilyn Jacobs Gittell, 1931–2010, was an NYC scholar-activist fiercely committed to racial, gender, and educational justice, and especially known for her dedication to public school reform and community control. Joining with the black resistance movements of the 1960s, this work was epitomized by the “Ocean-Hill Brownsville controversy” – a Brooklyn-based social experiment that moved control of schools to the communities of black and Puerto Rican urban poor whom they served. We are a small group of doctoral students in Critical Social/Personality Psychology at the Graduate Center charged with the privilege of constructing Marilyn’s archives. We are working through 250 boxes of materials from Marilyn’s life, as well as collecting both official records and everyday details “beyond the storage unit,” to create two, intersecting, participatory exhibitions – one digital, and one material – that honor Marilyn’s work as it speaks with/in the collective struggles and radical potentials of education in NYC – past and present. Berube, M. & Gittell, M. J. (1969). Prologue: The struggle for community control. In M. Berube & M. J. Gittell (Eds), Confrontation at Ocean Hill- Brownsville: The New York School Strikes of 1968. Frederick A. Praeger: New York, Washington, London. Gittell, R. & Newman, K. (2012). Activist Scholar: Selected Works of Marilyn Gittell. SAGE Publications: New York.